Following an existing circuit, I quickly put together a variable bench power supply with parts I already had on hand. It supplies from about 1.5 volts to 17 volts. This is handy for getting getting the right voltage over a range of projects. The output is fairly clean and good enough for most of my needs. 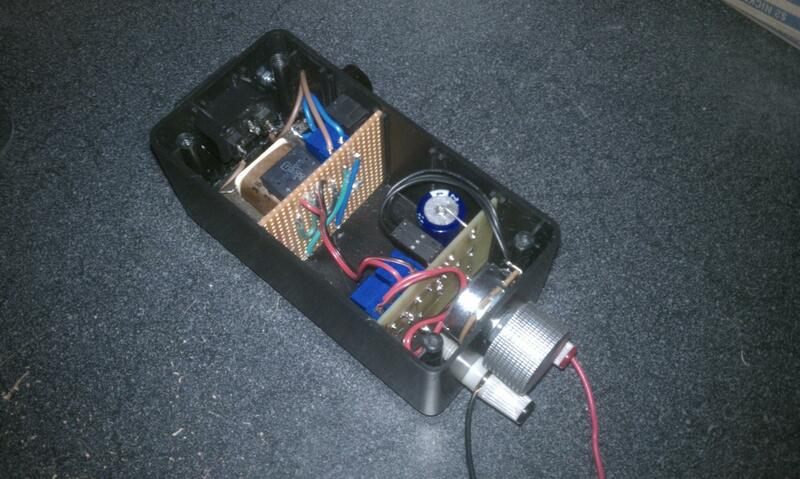 Using a standard project box, the AC power is fused and converted to DC with a regulator. The pot allows the voltage to be adjusted and the banana clips make it easy to swap out wires. I don't have the transformer circuit because it's something I already had on hand, but here's the regulator circuit board. 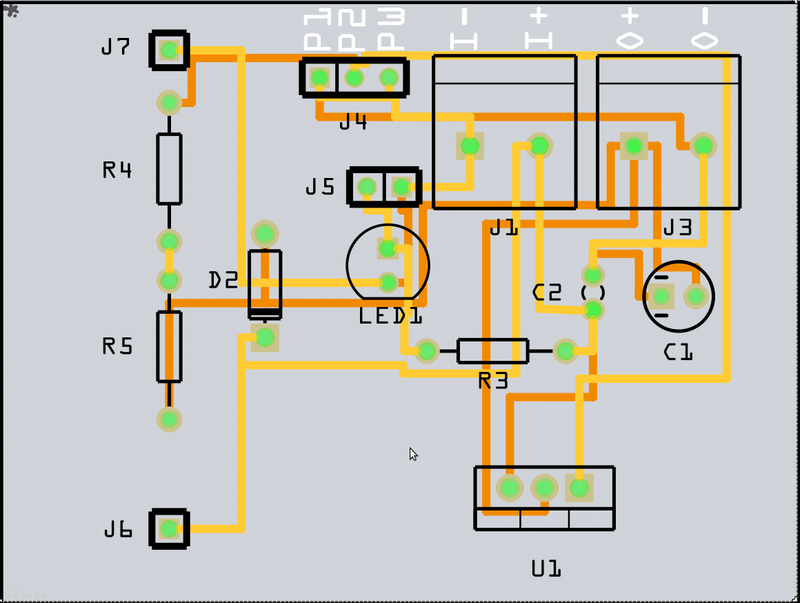 You can download the Fritzing file here. 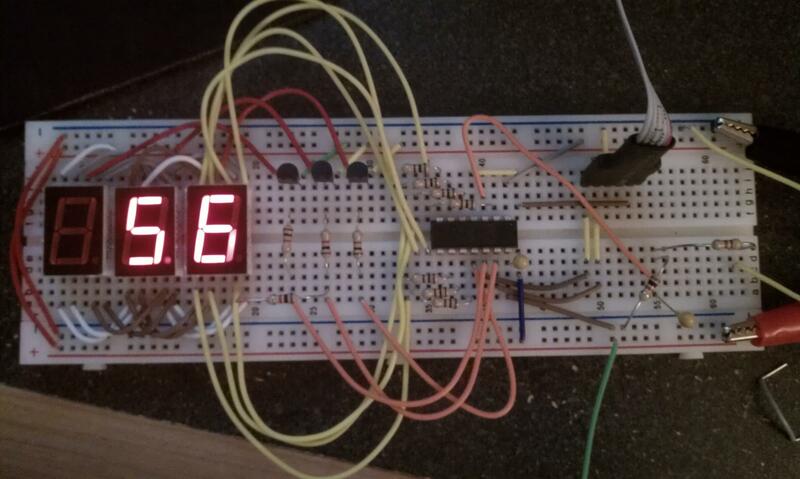 Here's a volt meter using a PIC actually reading the output from the power supply. Maybe some day I'll get it finished up and added onto the power supply itself.